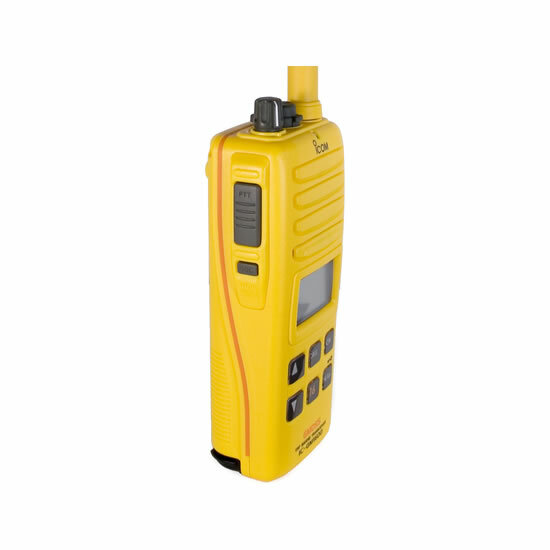 The GM1600 Marine VHF handheld is designed for GMDSS compliant survival craft communications. 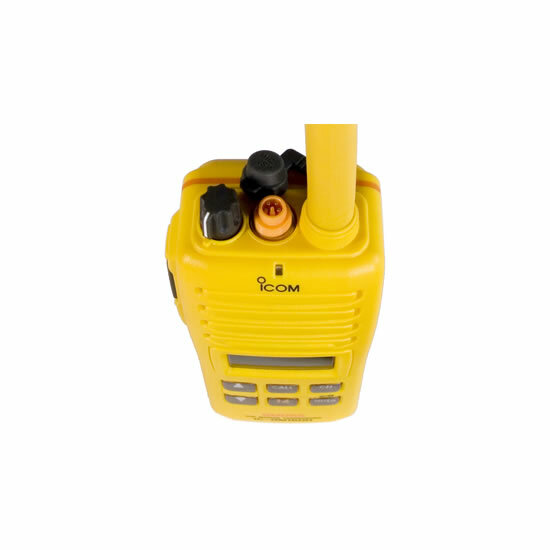 The radio is engineered to survive and function in the extreme environmental conditions common in marine emergencies and brings the latest Search and Rescue technology to the marketplace. 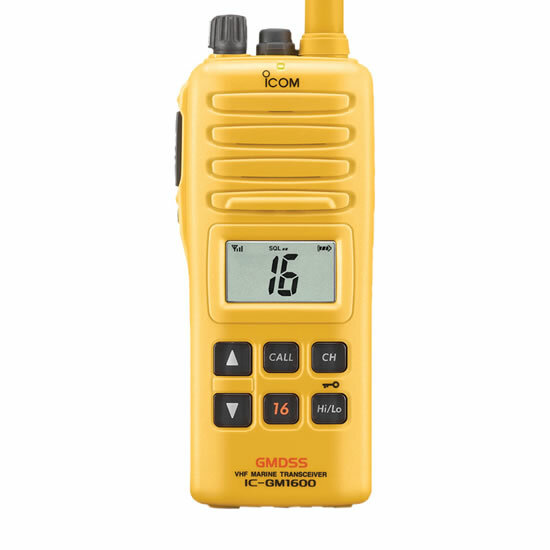 The GM1600’s shock-resistant housing is constructed of a brightly colored dye-injected polymer assuring this essential piece of emergency equipment will always be easy to find in a survival bag, in a life raft, or any other place when you need to find it quickly. 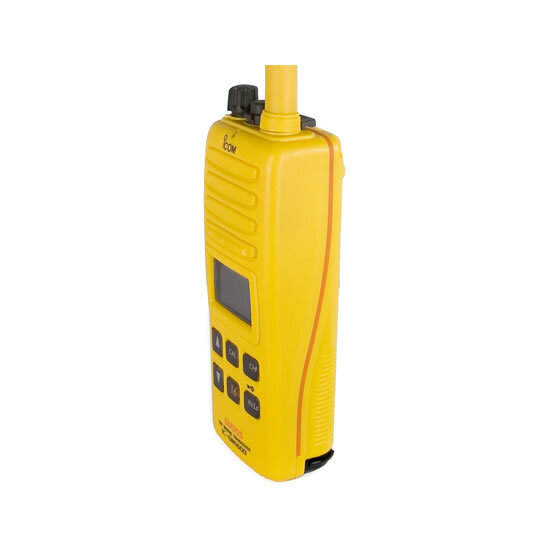 The GM1600 meets temperature, thermal shock, vibration and drop resistant (from 1 m height) requirements. After passing those environmental tests, the GM1600 sustains 1m depth waterproof construction specified with IMO resolutions A.809(19), A.694(17) and IEC 61097-12. 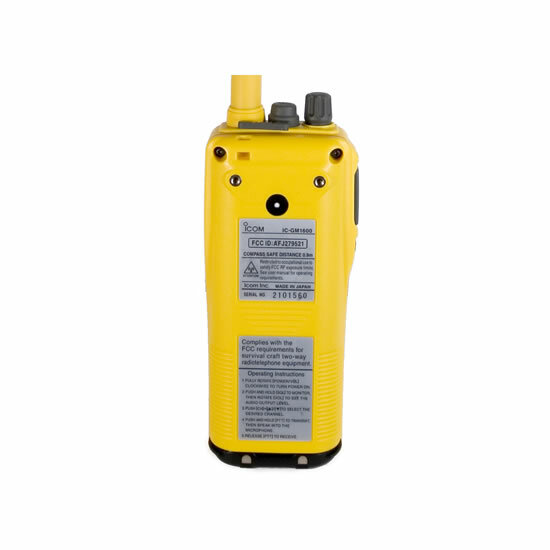 The BP-234 battery can operate even at –4ºF. All knobs are sized for quick operation and the large, well-labeled buttons feature a positive action "feel" with a programmable beep tone for sure operation. The front panel includes one touch access to Channel 16 and call channel.